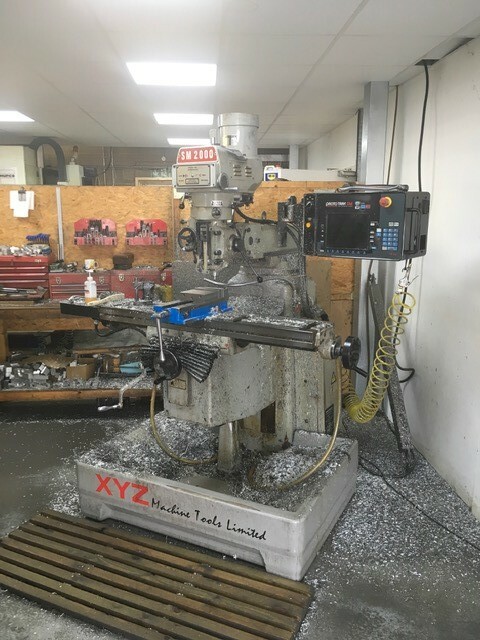 XYZ Machine Tools (www.xyzmachinetools.com) will be opening its Blackburn showroom on Thursday 18 October for customers to take advantage of its Clearance Event, which is part of its regular process of renewing the machines on display. All the display/demonstration machines are available to buy; they will be the subject of “enticing deals on the day and available purely on a ‘first-come, first-served’ basis”. Managing director Nigel Atherton said: “Our clearance events ensure that visitors to our showrooms are seeing the absolute latest in XYZ machine tool technology. While there is no need to reserve a place, visitors are advised to arrive early. The address is: XYZ Machine Tools, Blackburn Northern Showroom & Service Centre, Thwaites Close, Shadsworth Industrial Estate, Blackburn, Lancashire BB1 2QQ. Members of XYZ’s sales and applications team will be available from when the doors open — at 9am — to answer any questions.